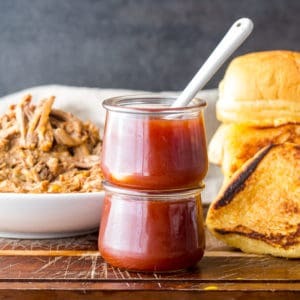 After over a decade and a half of living in South Carolina, it’s finally time I share with you all best Carolina vinegar bbq sauce recipe you’ll find on the internet! There’s a lot happening with Barbecue in the South, but in my humble and obviously unbiased opinion South Carolina, and in particular Charleston, has really got it going on. 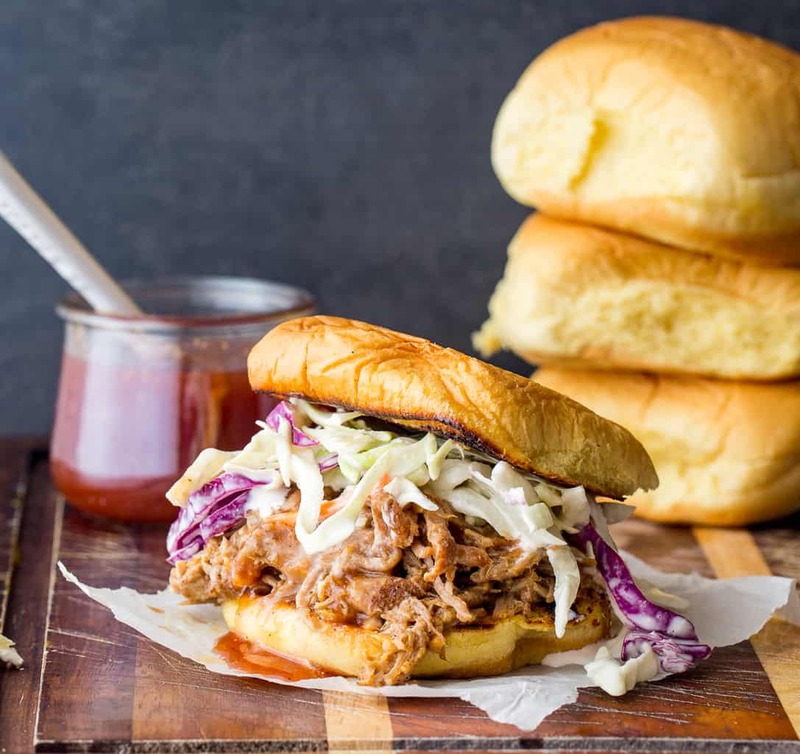 But what if you aren’t in Charleston, barbecue mecca, to sample all kinds of bbq with places like Lewis BBQ, Rodney Scott’s BBQ, HomeTeam, and Swig & Swine all within a 10 mile radius? 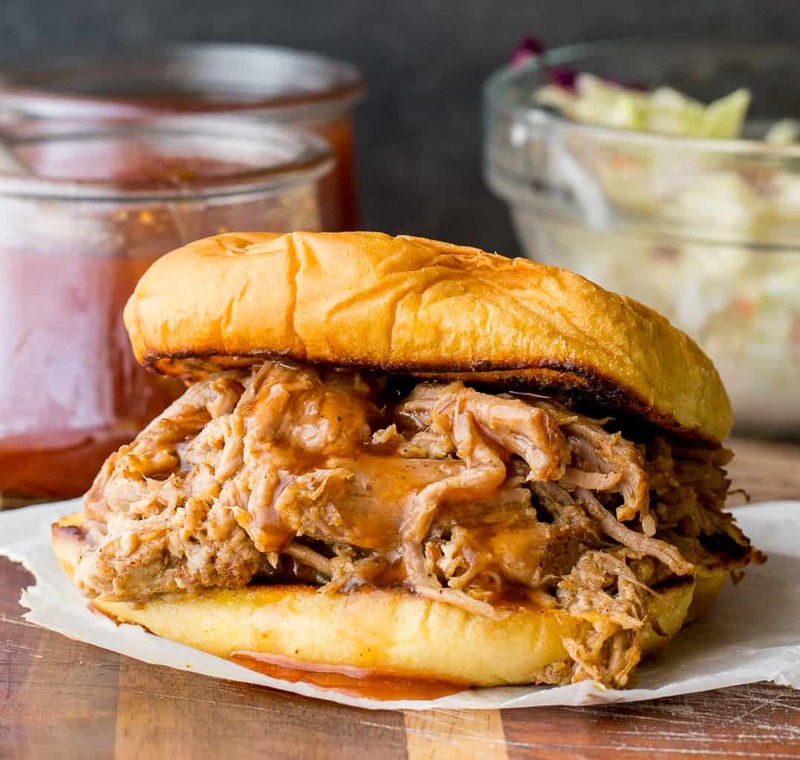 What is Carolina BBQ Sauce, you ask? 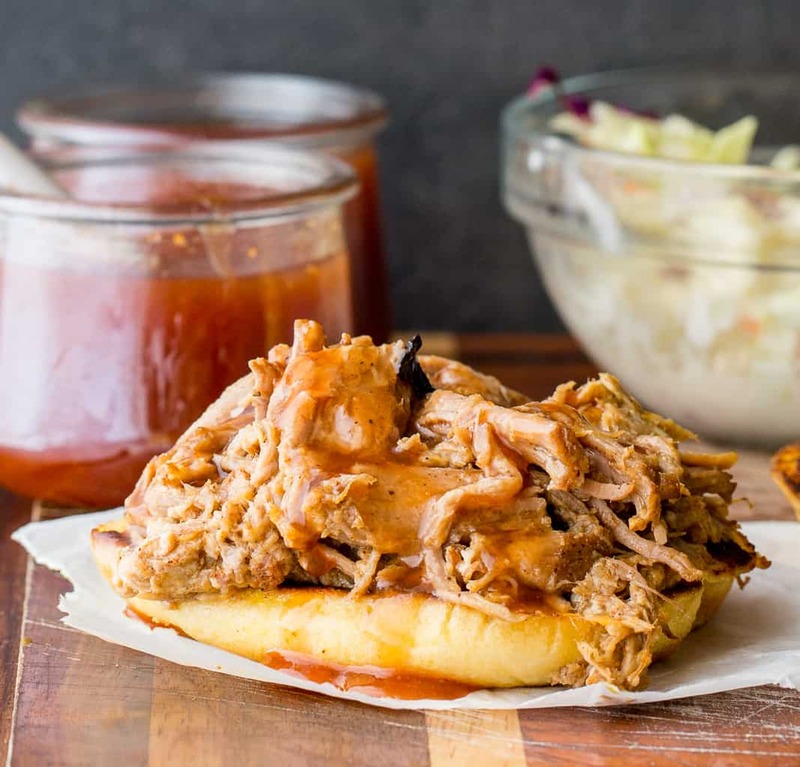 Carolina Vinegar Barbecue Sauce is tart, acidic, tangy, with just a little sweet, and a little heat to balance it all out. 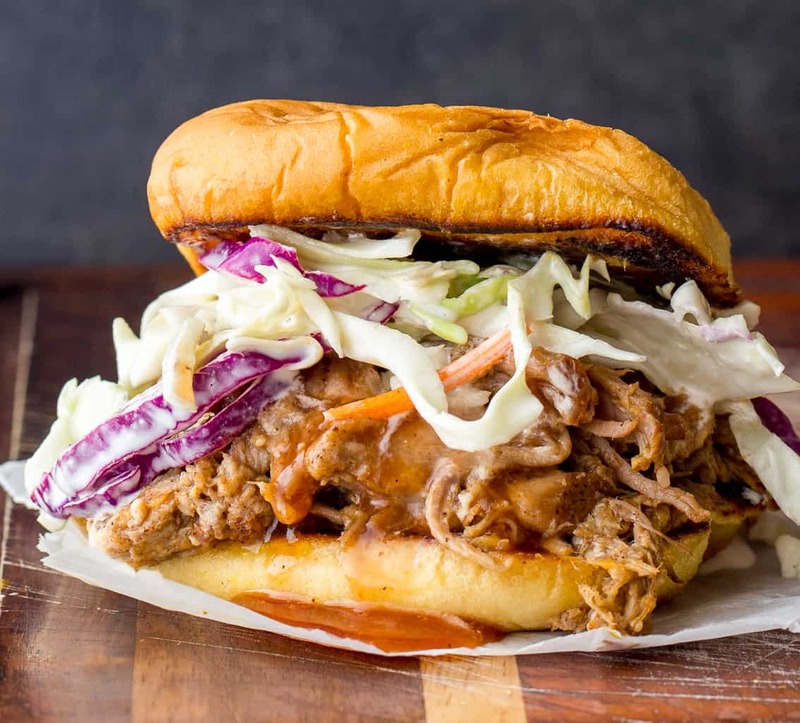 Pro-tip: You can actually mix Carolina Vinegar Based BBQ Sauce with mayonnaise and just a pinch of sugar to make coleslaw dressing. It’s delicious, I promise, and OH so easy. By the way, the ingredient list here is a little … untraditional for Basil & Bubbly. Y’all aren’t used to me throwing ingredients like ketchup in my recipes. I know that. And I’m sorry. But you’ll just have to trust me on this one. Plus we all know you’ve already got some in the fridge. Might as well use it! If you make this recipe, please rate it, leave a comment, and share! That’s the best way YOU can help support my little blog! Combine all ingredients in a medium sauce pan over medium heat. Bring to a boil. Reduce the heat and simmer for 2 to three minutes, stirring occasionally. All sugar should dissolve. Remove from heat and let cool. Serve or store once cooled. Warning! Boiling vinegar can get VERY aromatic! Avoid getting your face near the pan of boiling liquid, which is great advice regardless of what you're cooking. Also, I like my sauce peppery and often up the black pepper by 1/2 teaspoon. You can start with the basic 1 teaspoon and add more to taste once the sauce has cooled if you also like a more peppery sauce.